Are New Windows Only About Energy Efficiency? So you have probably heard (and correctly) that new windows can do wonders for your energy bills. That is true. There is no doubt that replacing your windows can seriously impact your home’s energy efficiency and save you some money in time. But that isn’t the only reason to think about new windows. If you are looking into window replacement in or near Tempe, AZ, there are in fact a number of good reasons to think about making the investment. New windows may not sound like the most exciting way to spend some money, but they can have a real effect on your daily life—not just those energy bills. You may not even notice the extent to which your windows change your life on a day-to-day basis. Indeed, windows can provide a real sense of indoor-outdoor living, letting nature into your home in a variety of different lays. They provide natural light, brightening up rooms in your home that could otherwise seem dark and uninviting. They let in natural air, as well, potentially keeping your home cool and fresh whenever the weather permits. Windows can also make rooms in your home seem larger. Whereas walls close off one’s view of the outside and confine you accordingly, windows create the impression of a more spacious area. That can mean a great deal when there is little or no option to actually increase your square footage by way of renovation. If older windows aren’t working properly (e.g. getting stuck when you open or close them), that may be an important reminder that it is time to think about replacing them. If you are to fully advantage from windows that let in natural air, it is of course important that they function properly in the first place. You may also wish to think about installing larger windows in a bid to assure a brighter and more welcoming environment. Many older homes may have been built with very different priorities in mind, sacrificing that light for additional wall space. That may not be the best thing for your family. And it may not be the best thing for your guests, either. Remember that new windows can also change the look of your home in important ways. 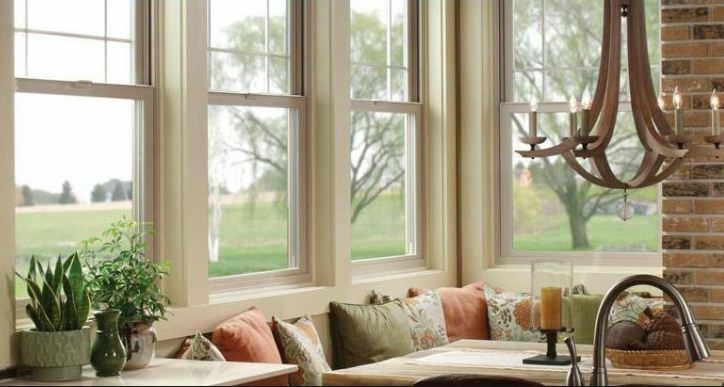 Whether you look into vinyl, fiberglass, wood or aluminum frames, it is certainly possible to change your home’s aesthetic by simply replacing your windows. In addition to making your home a nicer place to live, this can also increase the value of your home. It can even affect its curb appeal and make it appear like a higher-value and more attractive property to potential homebuyers in the event you may consider selling your home in the future. Put simply, the energy efficiency is nice. But it is hardly the entire story. If you are seriously considering window replacement in the Tempe, AZ, area, consider reaching out to Cougar Windows & Doors. We look forward to working with you and meeting your window needs in a friendly and professional fashion, and we have a long history of doing just that. You can visit us at 3820 E Main St Ste 5, Mesa, AZ 85205, or place a phone call to (480) 699-9066.